Contact lenses are versatile because you can have various options on how to use it or how it is being used like for fashion and lifestyle or vision problems. However, there are a lot of people who don't know yet what is Contact Lens and what it is made up for? So basically, Contact Lens is a thin, soft plastic lens placed directly on the surface of the eyes to correct visual defects. Thus, some people choose to wear contact lenses for many reasons like with the aforementioned options. I'm telling you about this because I'll be featuring an online shop with great finds like the contact lens. While I was surfing online, I again coincidentally bumped into another online shop that tied my interest. 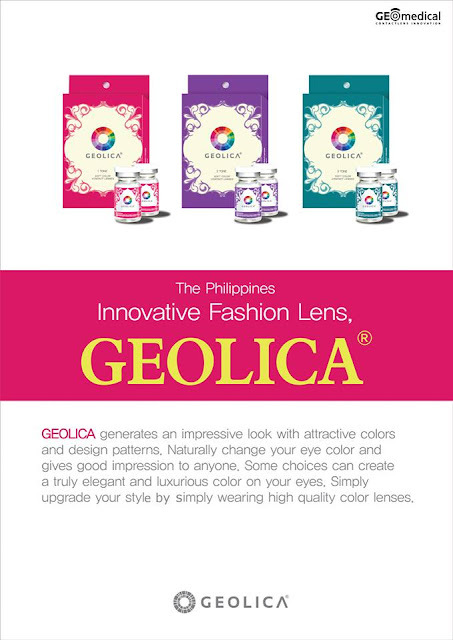 The GEOLICA Philippines. -And by that, I will give them a feature here in my blog. 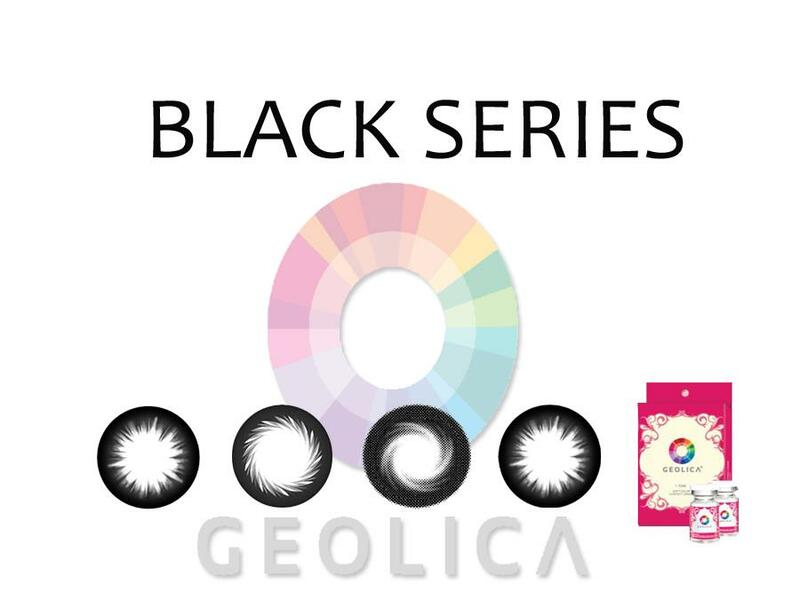 Anyway, GEOLICA is an exclusive brand of contact lens in the country from GEO MEDICAL CONTACT LENS under the GEO Medical Co. Ltd. from Gwangju, South Korea which provides top quality and has the freshest lens designs which enable our eyes to look more radiant and attractive. 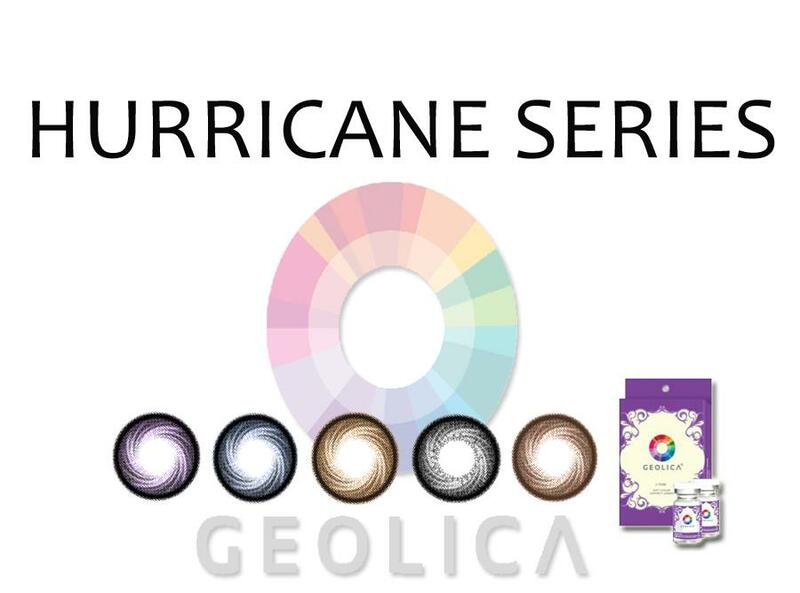 Each contact lens passed through innovative technologies with the finest process which made it obtained certificates, permits & approval from Philippine FDA to give customers surely high quality contact lenses with reasonable price everyone can afford. 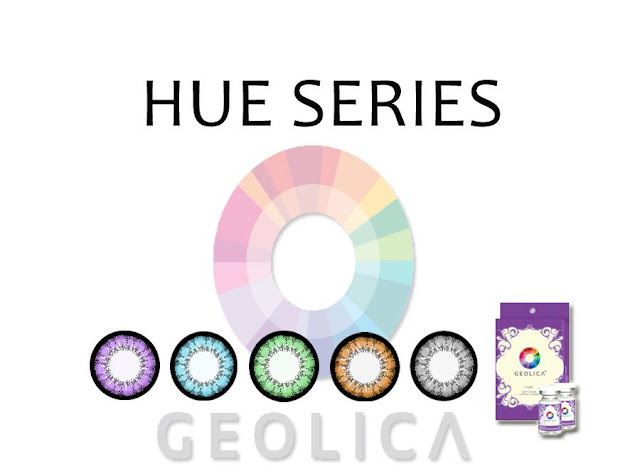 If ever I get a pair of these lenses, I would probably give a good review since reading comments on their page thrill me to try the lenses. Eyeing on these set. Fantabulous indeed. On a personal note, I've been a fan of buying contact lenses, so as my sibling because I honestly do have an eye defect which lead me for being a nearsighted person; -And just plain style for my sibling on his side. Things I like about wearing lenses is that it won’t fog up or collect precipitation that can blur my vision which usually happened when I wear my eyeglasses. So, this is a great alternative that instead of wearing eyeglasses, go for contact lenses that best suit you; No distraction and contacts don't detract from your natural appearance; they let people see your eyes. All my contact lenses are good for 5 years. The quality wise, each style are awesome. 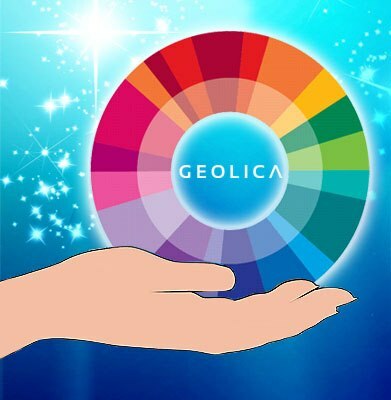 Geolica is another addition to my collection. I must say, after seeing Geolica... each item is a must buy. If you don't have a plan yet? Then, add it now in your bucket list. See the real beauty not from deep within but from the one wearing Geolica.